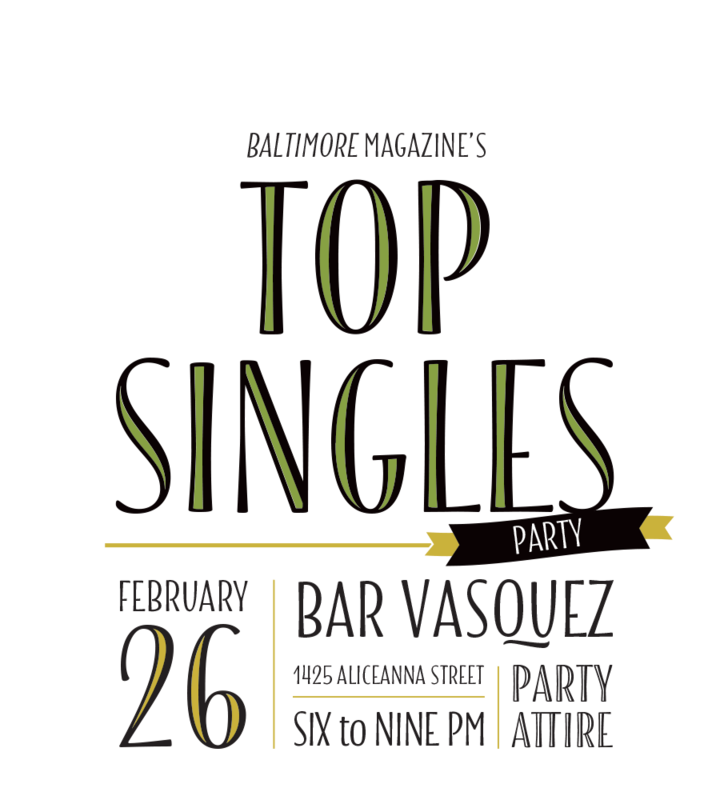 Join Baltimore magazine in toasting this year's 20 Top Singles at the newly revamped Bar Vasquez on Sunday, February 26. Enjoy swanky cocktails from Whiskey Girl and Tito’s Vodka, taste an array of wines from Bar Vasquez's diverse portfolio, kick back with refreshing beers from Evolution Craft Brewing, and indulge in delicious Argentine-inspired hors d'oeuvres. With an energetic dance floor, tunes by DJ Kopec, décor touches by UrbanStems, and ample cozy lounge seating, you may just meet your perfect match. A portion of the Top Singles proceeds will benefit BARCS (Baltimore Animal Rescue and Care Shelter). Want to do more? We've made it easy. Enter your donation amount on the following page right next to ticket purchasing. BARCS representatives will also be available at the party accepting additional cash/credit donations. All guests must be 21 years or older. Tickets are nonrefundable.